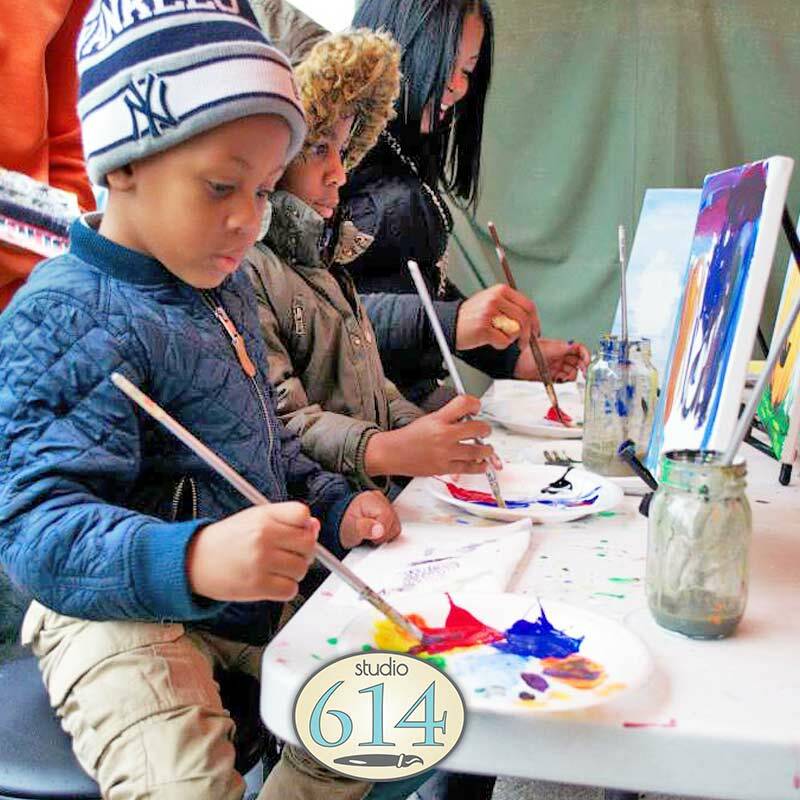 If you’re interested in throwing an on-location party, our artists can travel to Westerville, New Albany, Grove City, Downtown Columbus, The Short North, Italian Village, Victorian Village, Hilliard, Clintonville, German Village, Worthington, Dublin, Powell, and more. Please note there is a $100 travel fee for any location within 10 miles of the studio with an additional $1 per mile charge past the first 10 miles. Please contact us for additional information about on-location parties! 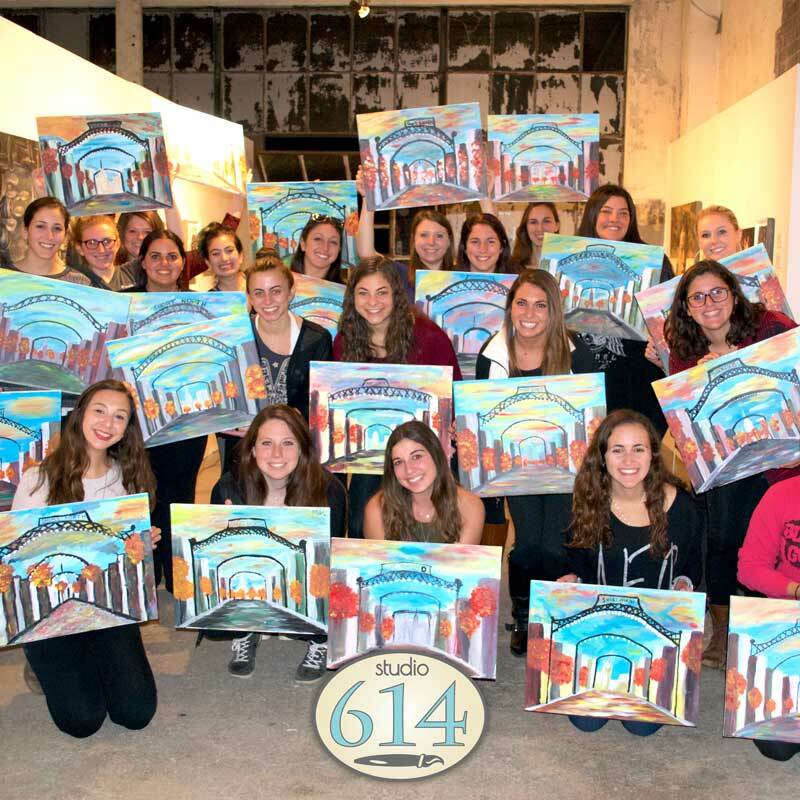 Private Parties – Birthdays, Holidays, Bachelorettes, Kids, Team Building, and more! From tarps to table cloths, we’ll handle the whole party set-up and clean-up. All you have to do is send out the invites! 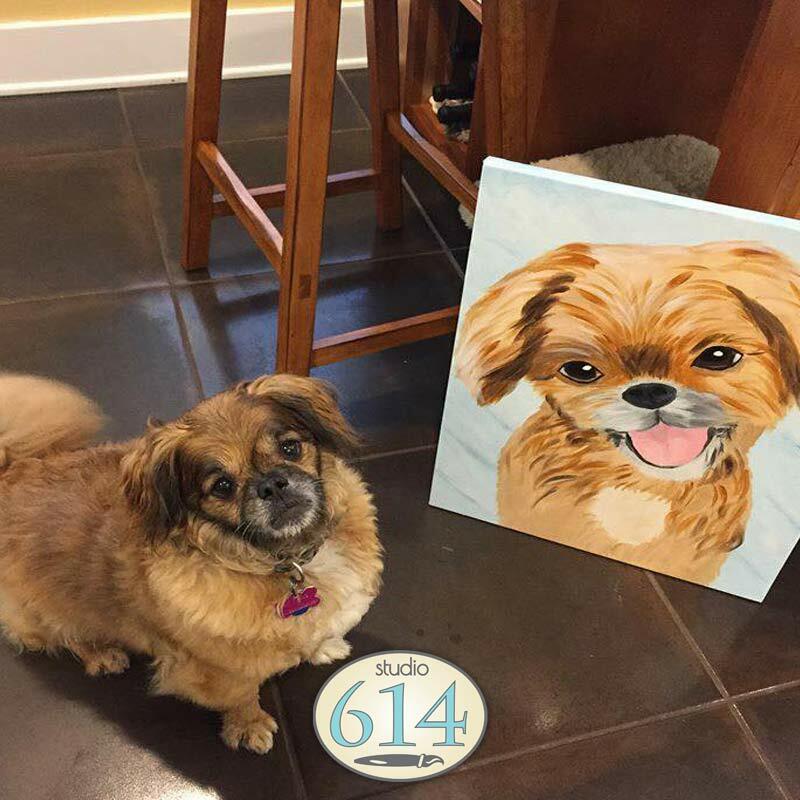 All of our prices include your paints, canvasses, brushes, and any other supplies you’ll need. 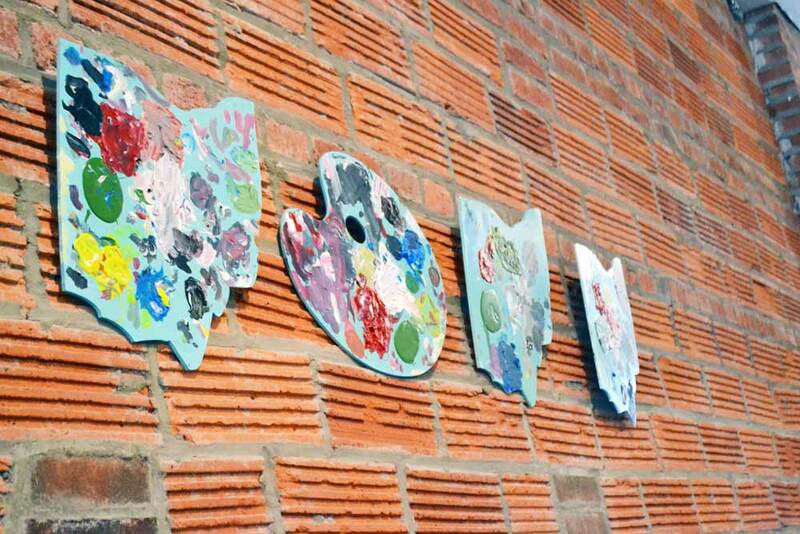 We only use acrylic and washable paint so don’t worry about the mess. 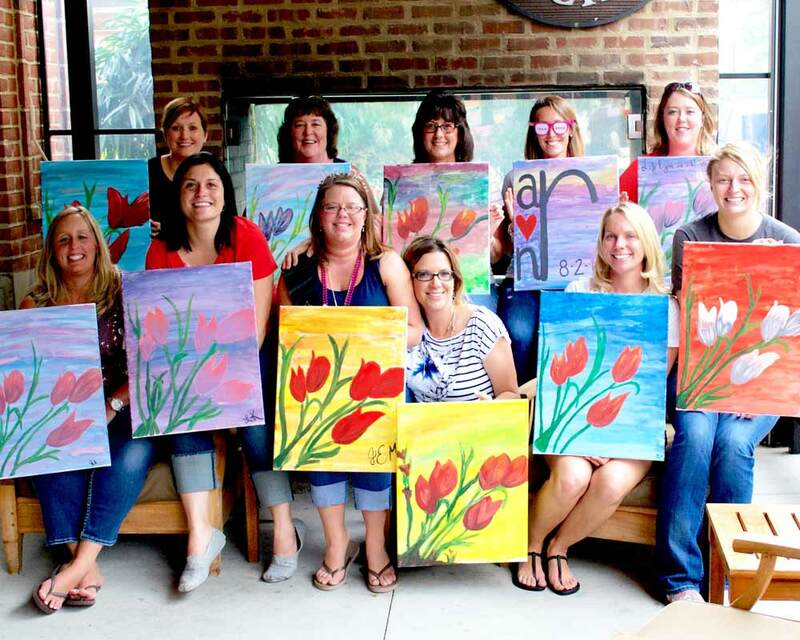 These classes can be hosted in our retro, mid-century modern studio in Clintonville at 2487 Summit Street, or we could chose another local venue with you, and bring all the supplies there. 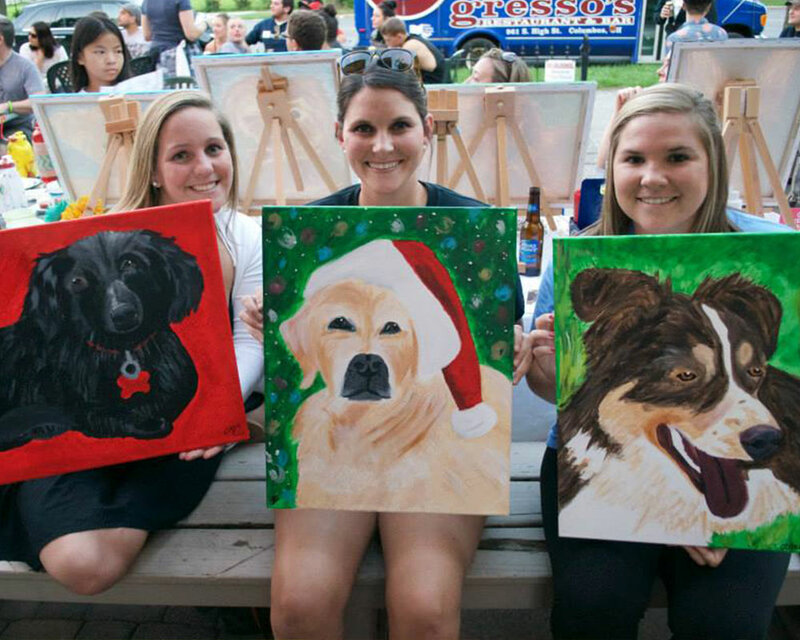 To see all of our painting party options, be sure to check out our GALLERY page! Get a Private Party Quote! 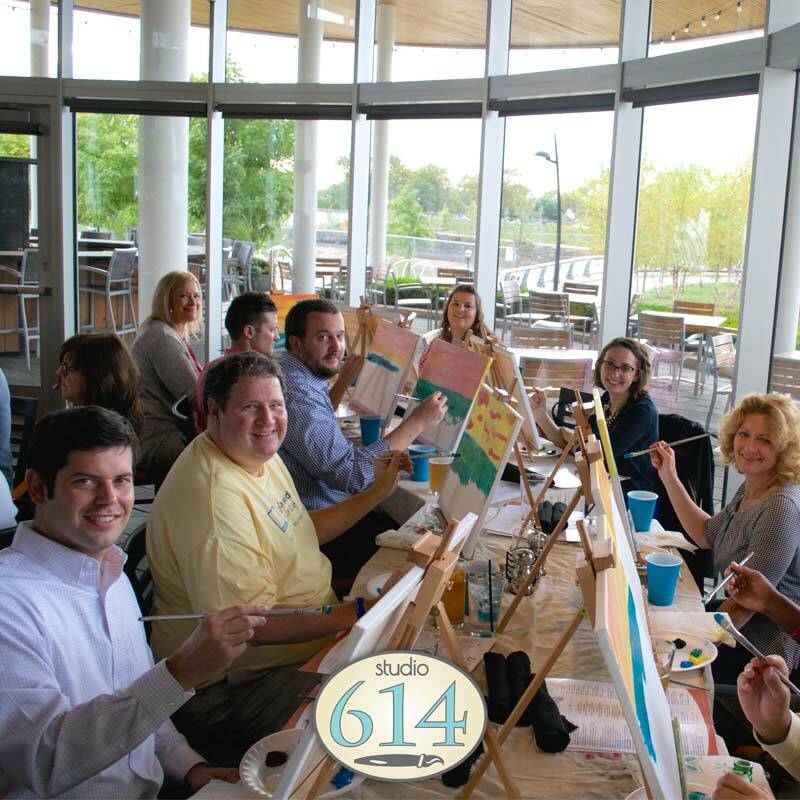 We require a minimum of 10 people to reserve a private columbus painting party. Prices range from $25-$60 per person, depending on the project or painting.